It almost seemed like there wasn’t enough love in the world for two Shadowrun projects but, with hours to spare, Shadowrun Online was able to shoot past its funding target of $500,000. Receiving over $40,000 in pledges in the past three hours alone. I’ll try not to draw too much attention to the aptness of the name ofShadowrun Online’s developer. But the women and men of Cliffhanger must be breathing a sigh of relief. The game itself has a few intriguing ideas embedded in its design. 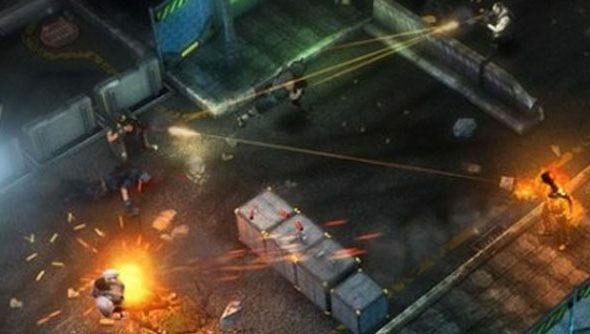 For one, the direction the game moves in – which the developers claim is going to be largely determined by the actions of the players – will become cannon across all the Shadowrun IPs. So the pen & paper version of the game will be influenced by how the online game is played. Plus,Cliffhanger are somewhat collaborating with Jordan Weisman’s Harebrained Schemes(makers of the in-development Shadowrun Returns)to create points where the two games link, shared stories, characters, and the like. Funding’s still open for the next two hours. So if you’re wanting to get involved, you better hurry.